Attack 1 : LOTTA DAMAGE!!! Phil Swift becomes god and all attacks are doubled. Flip a coin. 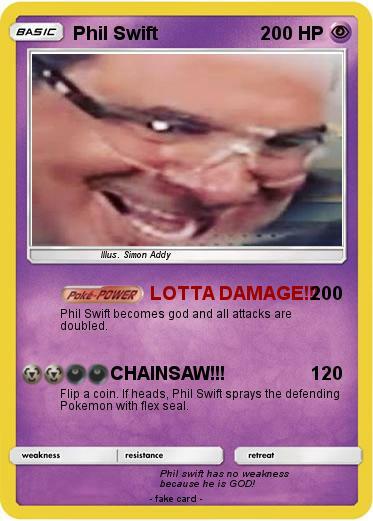 If heads, Phil Swift sprays the defending Pokemon with flex seal. Comments : Phil swift has no weakness because he is GOD!